Just in time for the Fourth of July! 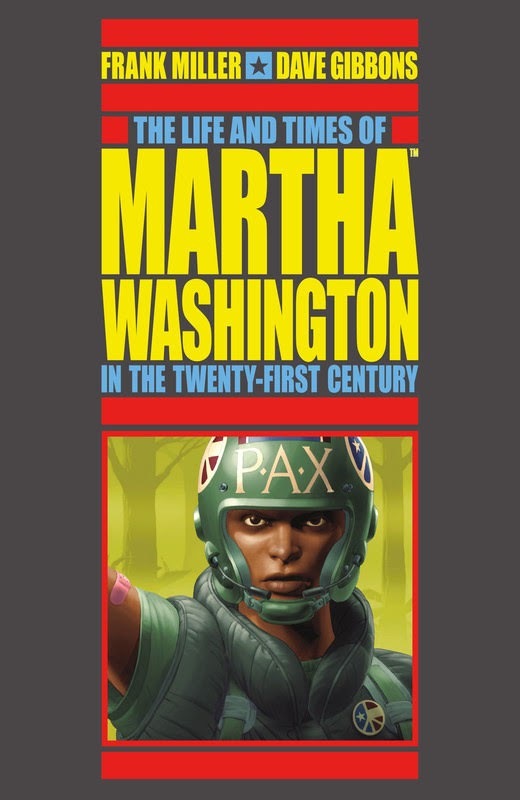 A masterpiece nearly twenty years in the making, this archival volume contains the complete life story of Martha Washington, the twenty-first century freedom fighter created by comic-book megastars Frank Miller (Sin City, 300) and Dave Gibbons (Watchmen), now in a more affordable softcover edition. The Life and Times of Martha Washington in the Twenty-first Century contains six hundred stunning pages of work from two of the top creators in comics! The long-in-the-making life story of Martha Washington. A woman who has guts.